Cooperative and Connected marks a major breakthrough in our understanding of children's emotional needs from two to eight years of age. It is a revised and updated version of Helping Young Children Flourish, and it continues the same approach described in the author's first book, The Aware Baby. Of interest to parents as well as therapists and early childhood educators, it provides a complete description of respectful, non-punitive parenting. This revised edition contains new information, insights, summary charts, and up-to-date scientific references. The seven chapters are packed with information about child development and solutions to many common problems encountered by parents of young children. Organized around typical questions that parents ask, and grouped into chapters by common themes, the book contains concrete advice for dealing with a wide range of issues. The topics include tears and tantrums, early childhood fears, appropriate stimulation, how young children learn, the importance of play, aggressive and uncooperative behavior, sibling rivalry, food-related issues, and hyperactivity. The author describes the disadvantages of both punishments and rewards. Instead of trying to change children's behaviors with these authoritarian methods, she explains the importance of connecting with children and looking beneath the surface to address their underlying needs and feelings, which often lie at the root of behavior problems. Parents will learn how to use play, family meetings, and other conflict-resolution techniques to elicit cooperation and set limits while maintaining a loving connection with their children. The author considers stress and trauma to be major factors that can cause behavior problems. Even with the most loving parents, children can become stressed, leading to aggressive and uncooperative behavior, as well as anxiety, sleep problems, hyperactivity, and compulsive eating. Parents can help children recover emotional balance by allowing them to fully express their emotions. Crying and raging are not seen as "misbehavior" but rather as natural tension release mechanisms that help children cope with the inevitable stresses of growing up. Instead of punishing or distracting children during their emotional outbursts, the author recommends acceptance and compassionate listening. She also describes certain forms of play that can help children release stress, enhance the parent/child bond, and help solve behavior problems. 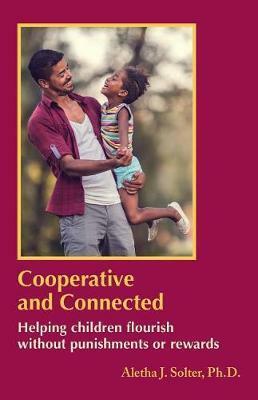 Cooperative and Connected is a well-researched book with over 150 scientific references in the fields of child development, psychotherapy, and neurophysiology. The 25 charts provide handy summaries of all the major points. Scattered throughout the text are vivid examples from the author's own experiences as a mother as well as from numerous interviews that she conducted with other parents. Each chapter concludes with a set of exercises for parents who wish to explore their feelings and take active steps in nurturing themselves.